Last Friday, our Lab hosted 40 students from our College's Masters of Science in Business Administration (MSBA) program. 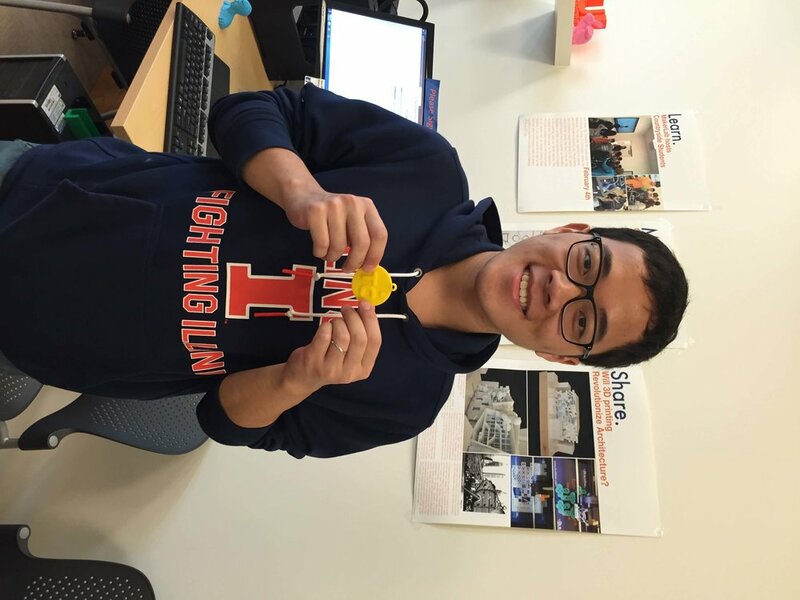 These students received a tour of the Lab and had the opportunity to create their own customizable key chains. Although none of these students had any prior exposure to 3D printing technology, within less than 30 minutes, they were turning their ideas into objects! What ideas for objects do you have? Stop by our Lab and make your dreams reality! Newer PostMake your own Halloween Costume!